New: Business Payments, B2B, B2C & C2B. 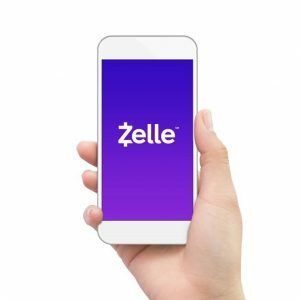 Since its official launch last June, Zelle has been all about carving out a healthy piece of the burgeoning person-to-person payments market for financial institutions. Now it’s promoting another service that leverages its network but could prove far more lucrative: disbursements. When companies, associations, or other organizations need to pay members or other consumers, the common practice is to cut and mail a check. Zelle hopes to convert that paper to digital payments through connections it’s already establishing on its bank-owned and –controlled payments network. Of the more than 100 financial institutions that have joined Zelle, seven have so far signed up for business-to-consumer payment processing, including banking behemoth Bank of America Corp. Among organizations using the service are Allstate Insurance Co. and the American Red Cross. Zelle, which is operated by the bank-owned, Scottsdale, Ariz.-based Early Warning Services LLC, has not disclosed how many organizations have signed up. If that’s an accurate prediction, Zelle could benefit handsomely because it levies an undisclosed fee for these transactions, unlike the free service it offers for P2P payments. The advantage for companies lies in savings from doing away with paper check processing and postage. It’s also a potential crowd-pleaser, Foust points out because consumers will get their money in near real-time. In situations such as insurance payouts, payroll, travel reimbursement, and emergency payments, that could prove critical. Simplicity is part of the appeal, he says. Companies need only the recipient’s name, email address, and mobile-phone number to send a payment. For consumers whose accounts are with out-of-network banks, Zelle uses Visa Direct and Mastercard Send, both of which leverage the card networks to enable near-real-time transfers. Recipients must be enrolled in Zelle either through a participating bank or through the Zelle app. The revenue potential from B2C payments could help answer a question that lingers over not only Zelle but also competing, non-bank P2P services such as PayPal Holdings Inc.’s Venmo. These services are also free, and in Venmo’s case this is dragging down PayPal’s take rate, the amount it earns on all transactions, even as the P2P service enjoys explosive growth. Zelle, too, is growing fast. Last week, it announced it moved more than $25 billion over its network in the first quarter, a 15% increase from the fourth quarter, on 85 million transactions, up 14%. That could make disbursements—and the fee income it generates—a timely service.